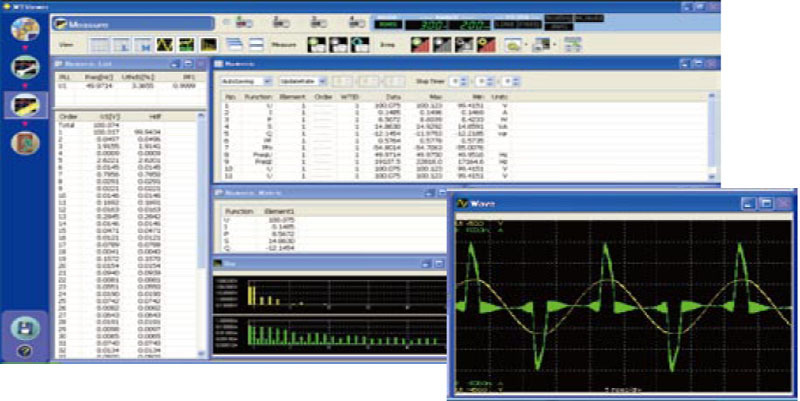 The WTViewerFreePlus software captures measured numeric values, harmonic values, and waveform data. 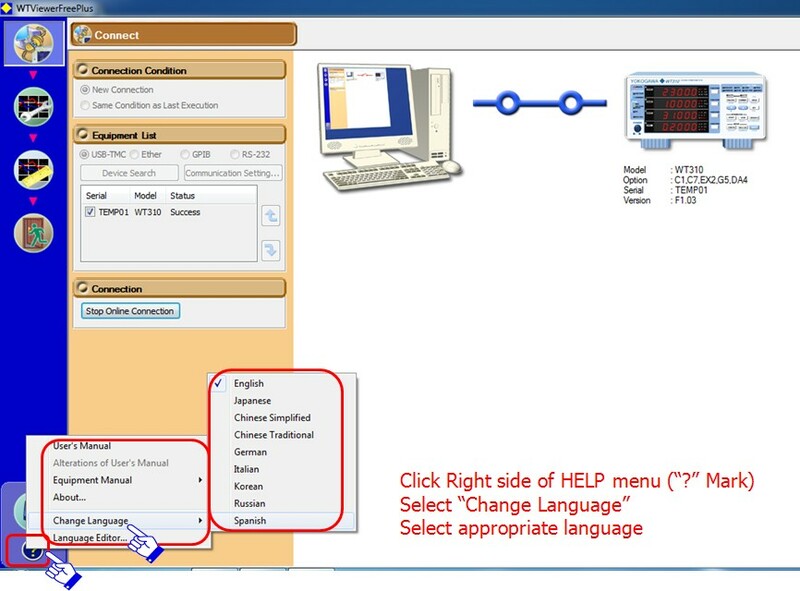 Users can view and save data on a PC using USB, GPIB, RS-232, or Ethernet. As well as using the WT300 / WT300E series front panel to set up the power meter, users can quickly set up preferred conditions. It also shows setting parameters and status at a glance. 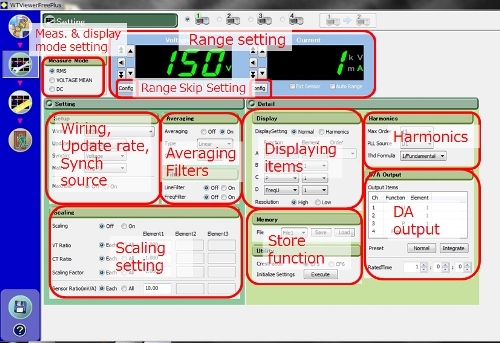 For instance, you can set up the range-skip function (range-configuation setting) and specify the maximum order for the THD calculation. 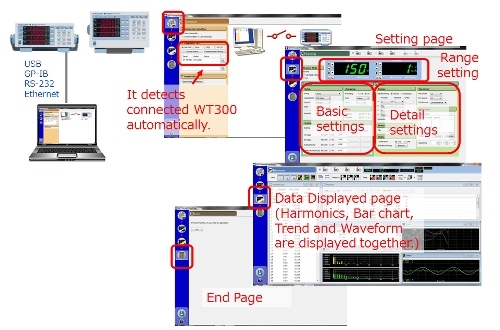 The software can display items which cannot be shown on the display of the WT300 / WT300E series, such as multiple numeric measurement parameters, the harmonics data of each other, bar graphs, trend graphs, and voltage & current waveforms. WTViewerFreePlus can connect up to four WT300 / WT300E series units (with same model code). The WT300 / WT300E series provides flexibility by offering various communication interfaces such as USB, Ethernet, GPIB and RS-232. 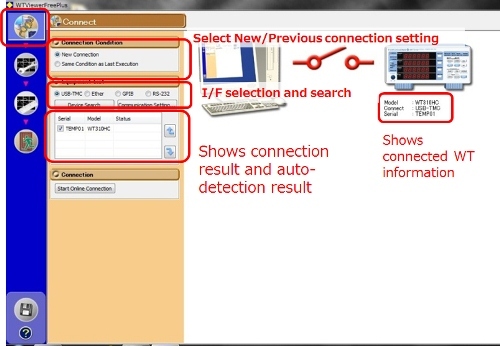 With the "Device Search" feature, the software allows automatic PC connection. 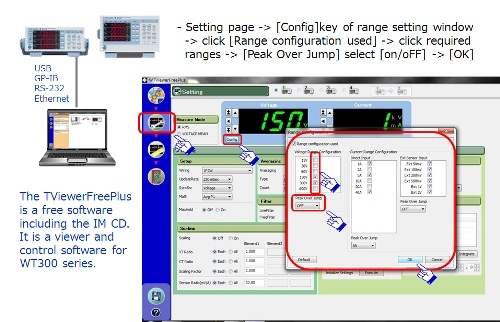 The software allows instrument configuration and measurement of up to 200 measurements simultaneously. Measure: Display measured results in bar graphs, trend graphs, etc. 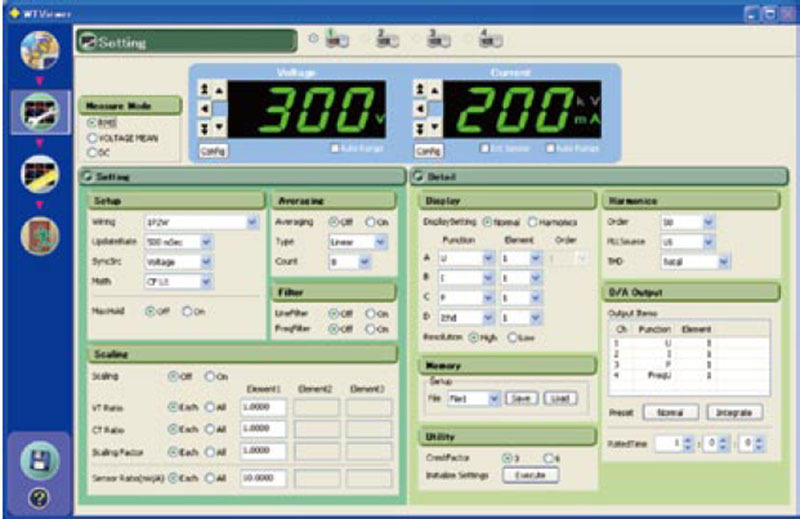 The following types of display screens are available. (/G5), harmonic measurement data is also displayed. Lists harmonic measurement data for each harmonic order. Displays WT’s measurement data for each element. 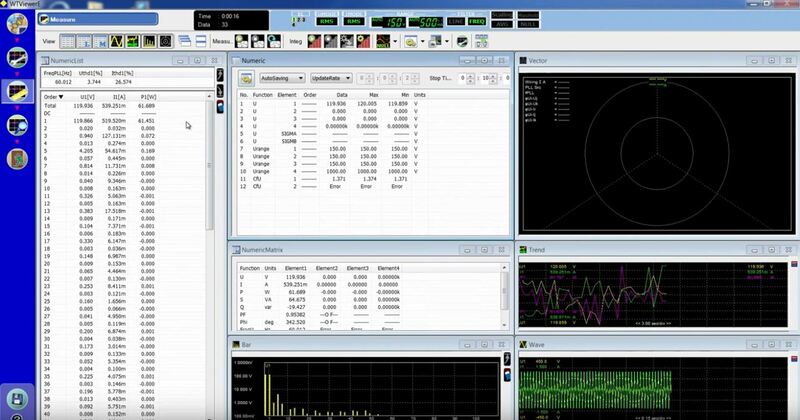 Displays waveform display data that has been collected from the WT. Displays changes in measured data over time on a trend graph. 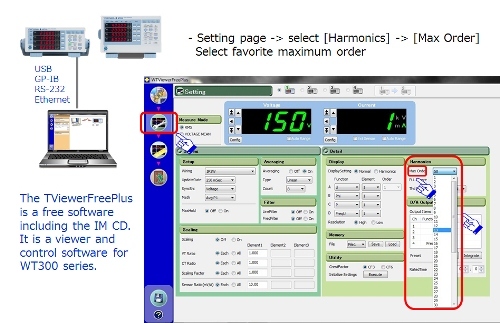 Displays measured harmonic components for each harmonic order. * /G5option is required on . Data Acquisition Interval 100 ms at max. speed. - The data storage period can be any custom settings (more than 2 seconds) and the data update rate of the body. - Depends on your PC's performance. *When the WT data update interval is shorter than the time it takes for the software to collect one set of measured data, there will be pieces of data that the software will not collect. 1 32-bit versions are supported. 2 32-bit versions and 64-bit versions are supported. 3 Use driver NI-488.2M Ver. 2.8.1 or later. 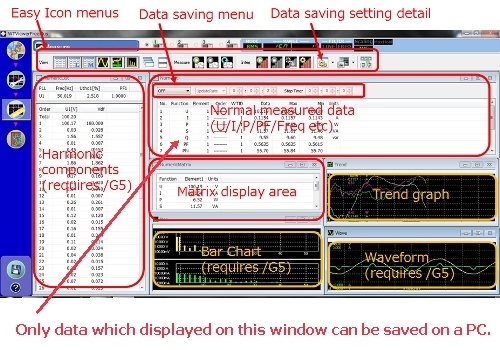 Vector Graph Display Function N.A. The WTViewerFreePlus is a free software including the IM CD. 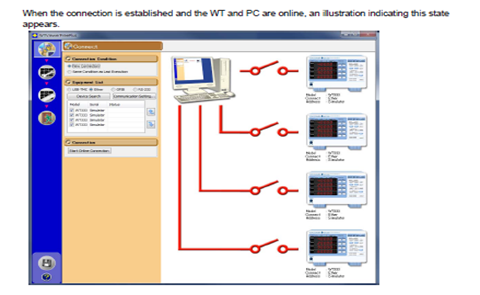 It can detect connected WT300 series automatically and there are dedicated Setting page and Measurement page separately.